Robert Graves was a war poet, translator of classics and novelist. During his long life, he wrote over 140 works including an autobiographical account of his time in the First World War – Goodbye to All That. Robert Graves was born in Wimbledon 24 July 1895 to middle-class parents. His father was a school-master and his mother from an upper-class German family. He was educated at a series of preparatory schools before gaining a scholarship to Charterhouse. Though an excellent student, life at Charterhouse was tough; he was relatively poor but outspoken; he was also teased for his German connections. In response, he gave an impression of eccentricity and took up poetry and boxing. One of his schoolmasters was George Mallory, who gave Robert an interest in both contemporary literature and mountaineering. On the outbreak of war in 1914, Graves joined the army, enlisting in the Royal Welch Fusiliers. He was one of the first poets to publish ‘realistic’ war poetry documenting the life of trench warfare. He suffered from shell shock and a dreadful fear of gas attacks. He recalls how he would later be affected by loud bangs or any unusual smell throughout the rest of his life. In 1916, he was badly wounded by shrapnel in the Battle of the Somme. His wound was so bad, he was recorded as having died from his wounds. However, against the odds, he survived but spent the rest of the war in England. He was close friends with other war poets such as Wilfred Owen and Siegfried Sassoon; his relationship with Sassoon developing into a close romantic involvement. In 1919, he was posted to Northern Ireland. 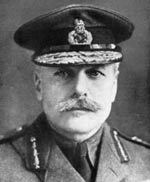 However, on contracting the dreaded Spanish influenza he fled to England, without official demobilisation. However, luck was on his side because at Waterloo station, he met a demob officer who had the official papers to discharge him. He also survived the flu; this was the third time he had survived a close encounter with death – Flu, his war wound, and a childhood bout of double influenza. After the end of the war, Graves was fragile both emotionally and physically and relied on the support of his wife Nancy. But, slowly he recovered and was able to take up a place at St John’s College, Oxford studying English. He published several best selling books, such as Lawrence and the Arabs – a successful biography of his Oxford friend T.E.Lawrence. In 1929 he published a book ‘Goodbye To All That‘ an account of trench warfare and the difficulties of adjusting to life after the war. He writes about his experience of returning from the front. ‘Goodbye To All That‘ is a stark account of the reality of trench warfare and includes second-hand accounts of German prisoners of war murdered after surrendering. This honesty and openness led to criticism from some quarters. He also published several classical interpretations of classical poetry, such as The Greek Myths. He took greater liberty with translations trying to capture the poetic spirit rather than a strict translation. Towards the end of his life, he suffered from a frail memory and stopped writing. He died from heart failure on 7 Dec 1985, aged 90. He was the last surviving war poet, commemorated at Westminster Abbey just a month before his death. Citation: Pettinger, Tejvan. 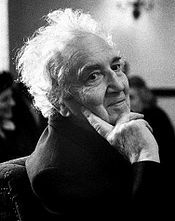 “Biography of Robert Graves”, Oxford, www.biographyonline.net, 16th Jan 2010. Last updated 1 March 2018.